Hiatus hernia is a condition where part of the stomach is in the chest rather than the abdominal cavity. They are very common and if small may cause no symptoms or symptoms of gastro-oesophageal reflux. Large hiatus hernia can cause difficulty swallowing, severe reflux and can even cause the stomach to twist into a knot. Most people with small hiatus hernia will have little or no symptoms. When people have symptoms, they may experience GORD, acid reflux, regurgitation or vomiting. Large hiatus hernias may cause severe reflux vomiting or difficulty swallowing. When does a hiatus hernia need surgery? When a hiatus hernia becomes clinically symptomatic you may be referred to a specialist to have a discussion regarding surgery. This may include severe reflux symptoms, reflux impairing your quality of life, complications of GORD (bleeding, strictures, inflammation of the oesophagus) in some circumstances very large hernia need to be repaired due to their size alone, the risk of twisting or if people are having difficulty eating. What tests are required for a hiatus hernia? The minimum testing required prior to hiatus hernia surgery is a gastroscopy and barium swallow test. In most cases a CT scan will be required and specific testing for reflux and contraction of the oesophagus (pH and manometry testing). Can hiatus hernia repair be done using keyhole (laparoscopic) surgery? Yes, nearly all hiatus hernias can be repaired vis a minimally invasive/ keyhole or laparoscopic approach. There will always be exceptions and there is always a chance that if surgery is too dangerous to be performed with keyhole then the traditional open surgery method will be employed. Can hiatus hernia be performed with The Da Vinci robot? Yes, it is possible to use the Da Vinci robot to perform this procedure and studies from the united states have shown that the results are similar to laparoscopic keyhole surgery. Will I need to have a mesh placed to repair my hiatus hernia? Most people will not require the placement of a mesh to reinforce their hiatus hernia repair. Sometimes mesh maybe required if the gap in the diaphragm muscle is very large or if the tissues are very weak. What are the risks of laparoscopic hiatus hernia surgery? In addition to the risks of all operations, there is a risk that people may experience swallowing difficulties after surgery, a small proportion may experience bloating and some increased flatulence. Intra operative risks include damage to the oesophagus, nerves that supply the stomach or damage to the spleen. How long does hiatus hernia surgery take? Laparoscopic hiatus hernia surgery will usually take between 2-4 hours depending on the size of the hiatus hernia. How much does Hiatus hernia surgery cost? Treatment in a public hospital to Australians who have Medicare is without charge. Patient with private health insurance can also have surgery at a public hospital without any out of pocket charge. Treatment in a private hospital may incur some out of pocket expenses, please follow this link www.keyholesurgeon.com.au/payment-options.html for an explanation of charges. Patients undergoing treatment in a private hospital will receive a quotation of expected charges prior to surgery. Is hiatus hernia surgery covered by health insurance? Yes, in general, hiatus hernia surgery and keyhole surgery are covered by private hospital health insurance policies. However, we suggest checking with your health insurer prior to any hospital admission or procedure. Will I be able to eat after hiatus hernia surgery? Yes, but you will need to alter your diet for the first few weeks after surgery. While the swelling from the surgery at the top of the stomach settles down you will need to eat a soft diet. This means no large chunks of meat, veg or bread. It is also best to avoid carbonated or fizzy drinks. After 2-3 weeks normal diet may be resumed. How long will I be in hospital after hiatus hernia surgery? Most people will stay one or two nights in hospital following this type of surgery. You may need to stay in hospital for a longer period if your surgery is complex or you experience a complication. How soon can I exercise after hiatus hernia surgery? Most people will not feel like exercising for the first week after surgery. After this we would recommend lots of walking or light aerobic work from around week 2. At four weeks, swimming, jogging and visits to the gym are permitted if heavy weight lifting or straining is avoided. How long before I can return to work after hiatus hernia surgery? This depends on your job, the tasks you are required to perform, your general health and your employer. Most people who are not required to lift heavy objects can return to work 2 weeks following surgery. People who have jobs which involve heavy lifting may need to have 6 weeks off work. 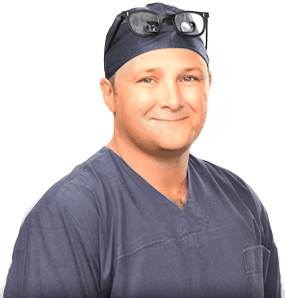 Will I need a fundoplication with my hiatus hernia surgery?